Grayson Perry analyses the complex process of judging whether contemporary works of art are good or bad quality. 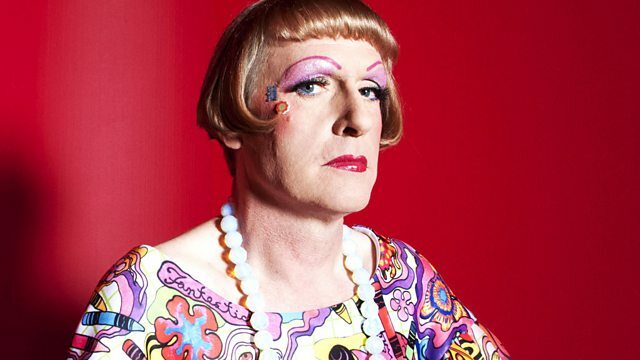 In the first of four lectures, recorded in front of an audience at Tate Modern in London, the artist Grayson Perry reflects on the idea of quality and examines who and what defines what we see and value as art. He argues that there is no empirical way to judge quality in art. Instead the validation of quality rests in the hands of a tightknit group of people at the heart of the art world including curators, dealers, collectors and critics who decide in the end what ends up in galleries and museums. Often the last to have a say are the public. Perry examines the words and language that have developed around art critique, including what he sees as the growing tendency to over-intellectualise the response to art. He analyses the art market and quotes - with some irony - an insider who says that certain colours sell better than others. He queries whether familiarity makes us like certain artworks more, and encourages the public to learn to appreciate different forms of art through exploration and open-mindedness. Perry was awarded the Turner Prize in 2003, and is known for his ceramic works, printmaking, drawing, sculpture and tapestry as well as for his cross-dressing and alter-ego, Claire. The Reith lectures are presented and chaired by Sue Lawley. At the first lecture, Grayson Perry revealed an unusual influence who hails from Ambridge. "What are the boundaries of contemporary art?" "International Art English rebukes ordinary English for its lack of nouns"
"The ideal formula for art in the 21st century"
Radio 4 newsreader Corrie Corfield chooses the programmes she enjoyed in 2013. View the full gallery of images created for the 2013 Reith Lectures. Four lectures recommended by the series producer. How much do you know about historical conflicts and those who fought in them?